'Twas a happy mail day when this little cutie came in the mail, so we had to try it out ASAP. the fabric is so soft and light weight, and not to mention, absolutely adorable! With a matching headband, too! No fuss in trying to get the wrap technique correct, and no stressing about it coming undone while babe sleeps, simply slip it on like a sock. 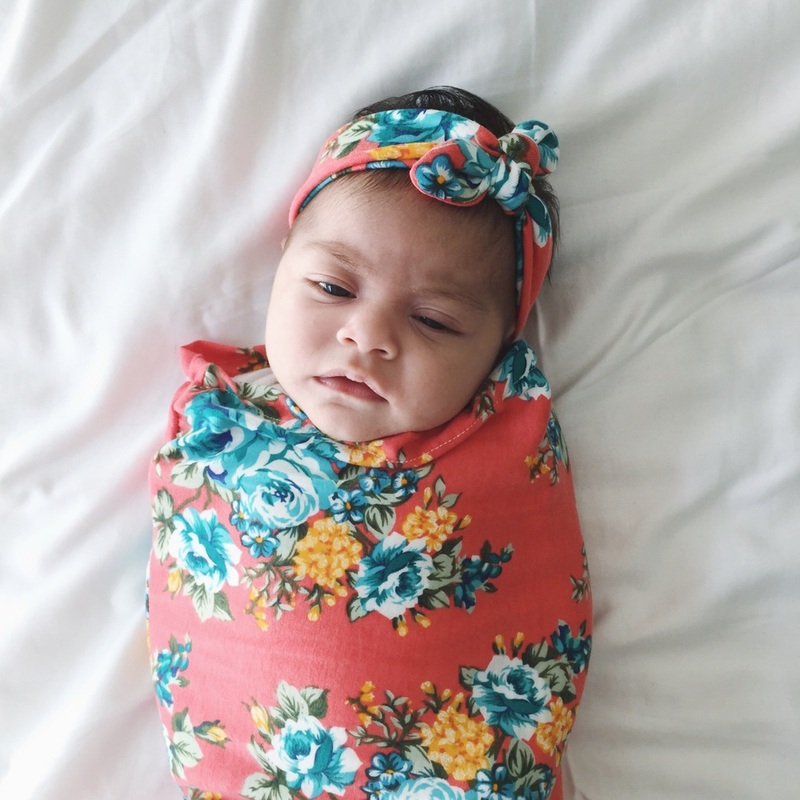 The best part, my daughter, who hates being swaddled and hates sleeping even more, cried for a second as she always does when trying new things, then calmed down on her own and immediately started getting sleepy. I could barely keep her awake for our photoshoot! after we were finished I picked her up and started to rock her and she fell asleep almost instantly. It was beautiful.